A Secret Society? A Class Reunion? 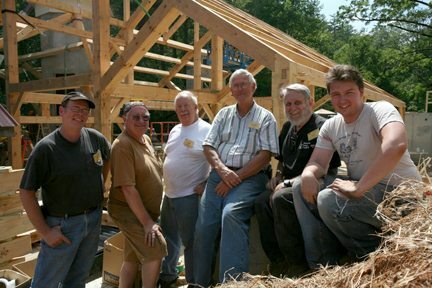 A Bunch of Dudes Making Stuff? 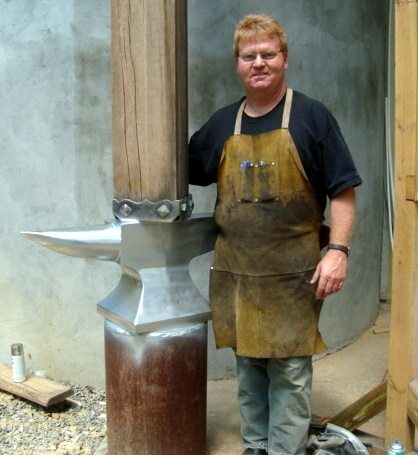 What Exactly is Blacksmith Work Week? 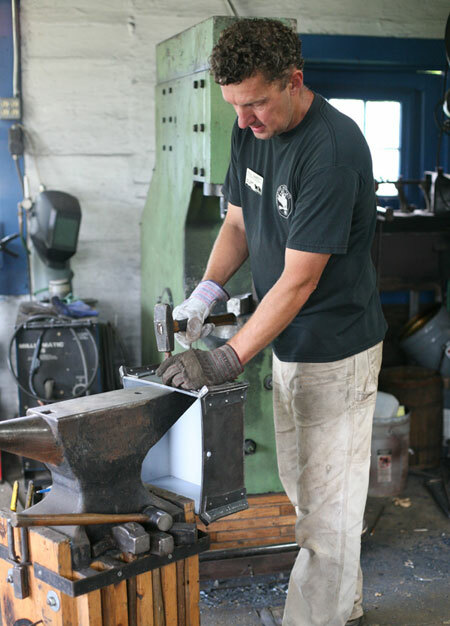 I sat down with Paul Garrett, the Folk School’s resident blacksmith, to find out a little bit more about the mysterious and unique annual event known as Blacksmith Work Week. 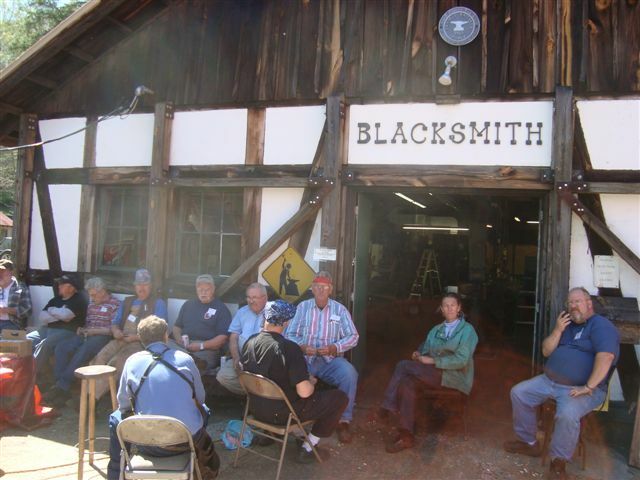 The 2012 Blacksmith Work Week was April 15-21, 2012. 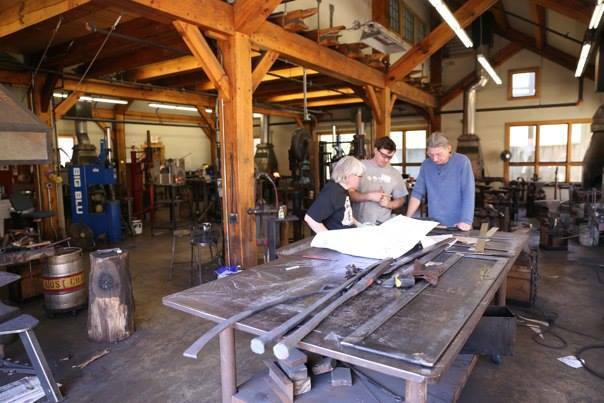 Blacksmith Work Week is a wonderful annual tradition at the Folk School where blacksmiths from all over come and volunteer their time to do smithing projects around campus and make improvements in the Shop. It’s been 15 or 20 years that they have gathered here every spring, for Blacksmith Work Week, so Paul Garrett, the Resident Blacksmith tells me. When I visited, there were about 20 men and at least one woman circling like bees. They are all over the balconies, in corners and down on the floor. 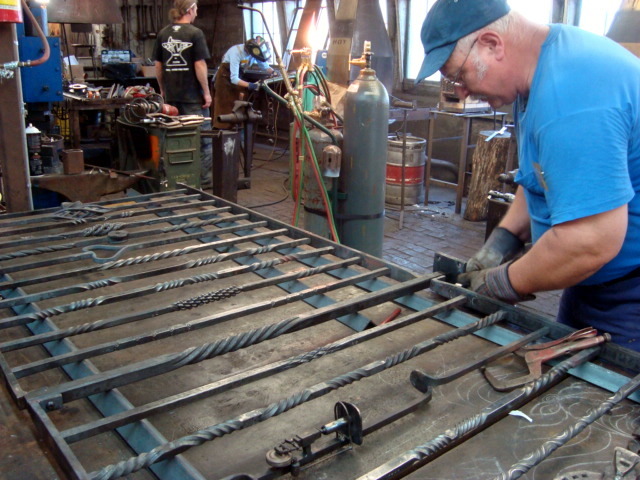 Red hot metal is being pounded beside blazing forges, power hammers have metal running through at a rapid speed, and components are being welded together. 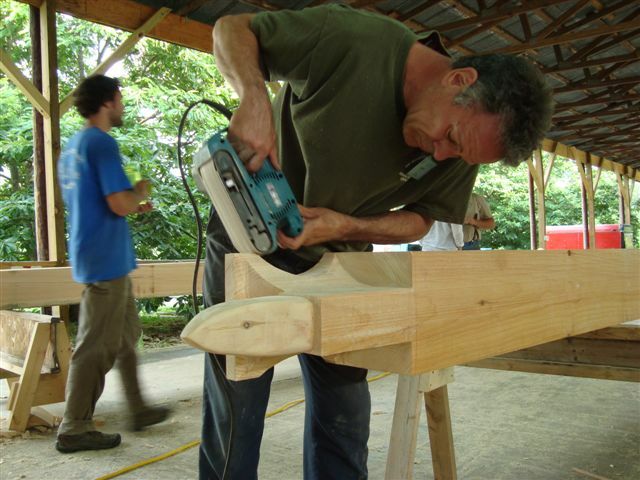 It is high-level intensity with professional focus in the shop today. 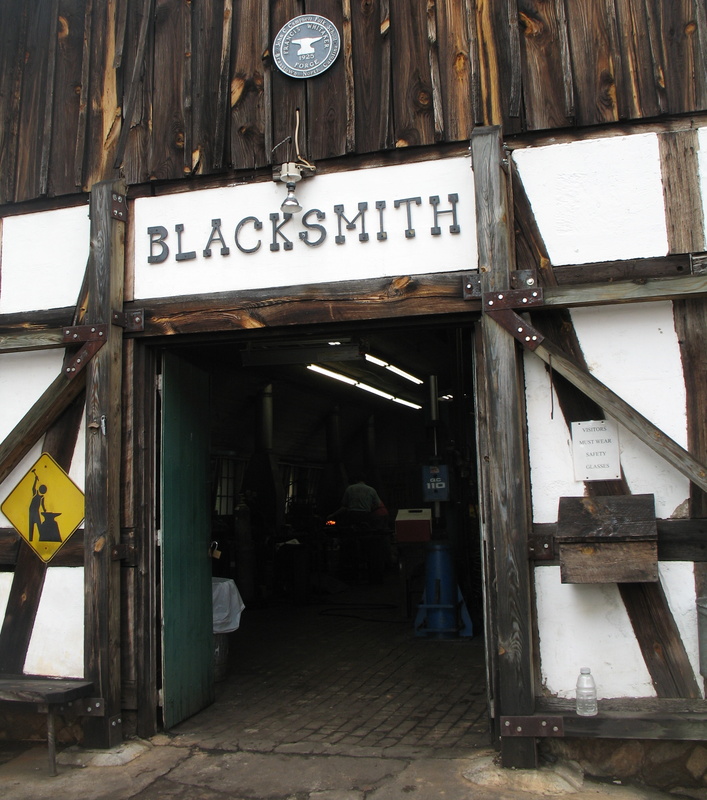 No students are here; the blacksmiths are giving their time and talent to retrofit the Francis Whitaker Blacksmith Shop. 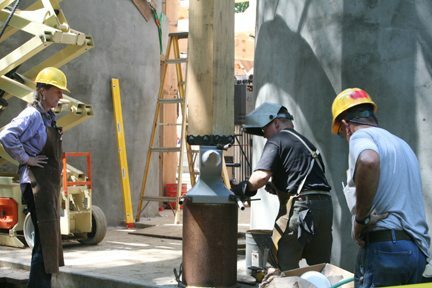 What was the primary blacksmith shop is now being set up for material storage, welding, grinding, and drilling. A few forges have been left in place for this studio. Every time I come to Brasstown, I’m not sure what to expect. So many things happen here, each studio existing as a world of it’s own, and there is always so much to see and be a part of.